Perched on the water, with breath-taking views; Monaco bathes in history and in excellence. Everything about it screams – Relax! Play! Don’t worry about working! The countless beautiful parks, the casinos, the luxury yachts, the grand prix, the palaces. Even the museums are playful and appeal to the wealthy collector – vintage cars, stamps and coins. The Mediterranean climate and stunning scenery help to complete this paradise. A tax haven, around 30% of the population are millionaires. This is place that you need to experience. The evolution of Monaco is apparent in its layout, as the second smallest and the most densely populated country in the world; space is at a premium and historically, buildings have often grown, rather than been designed and built from scratch. The popular Grand Prix circuit is a perfect example of this; it fits around the streets, rather than being purpose built. 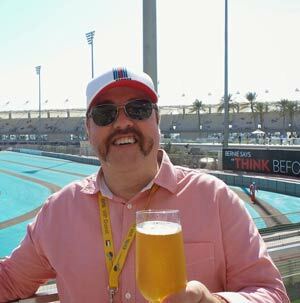 And this, perhaps, is where the magic (and the danger) lies – Formula One fans and drivers, widely believe it to be the most prestigious Grand Prix. Come and be dazzled by the City of Prince! The oldest area of Monaco sits on a rocky promontory, extending into the Mediterranean, giving it its nickname of Le Roche (The Rock). Travel through its narrow streets and pay a visit to the Place Saint Nicolas, Palais de Justice and the Cathedral. Home of the Grimaldi’s for over 700 years, this palace shows the evolution of their fortunes; they periodically added new wings or towers onto the existing palace, rather than building a completely new one. In 1956, American actress Grace Kelly married Prince Rainier III of Monaco, becoming Chatelaine of the palace – the event was widely televised, cementing Monaco’s reputation for glamour and decadence. The palace houses an Italian style gallery and 15th century frescoes. Every day at 11.55am you can witness the changing of the guard in the courtyard outside the palace. Built in 1910, contained and emerging from a cliff-side rock, highlights of the spectacular Oceanographic museum include a shark lagoon and a coral reef. This haven of marine science was managed by Jacques-Yves Cousteau for several years. It is surrounded by the wonderful Saint Martin Gardens. Created in the south side of Le Roche in 1954 by Prince Rainier III; the zoo is home to 250 animals, including a black panther, hippopotamus, white tiger and exotic birds. Caryatids, balconies and turrets. The architecture is mainly in the magnificent Belle Epoque style, in the principal resort and residential area of Monaco. The home of the casino. An entertainment complex which includes a casino, the Grand Theatre de Monte Carlo and Les Ballets de Monte Carlo. As with every area of Monaco – there are gardens to enjoy – here, the casino and Japanese gardens. A casino, here in Monaco, was the inspired idea of Princess Caroline’s in the 1850s to save the House of Grimaldi from bankruptcy. After initially struggling, it’s growth was aided by new railway links to Paris in the late 19th century. There are now 4 main casinos: Casino de Monte-Carlo, Casino Café de Paris, Sun Casino and the Monte-Carlo Bay Casino. This legendary casino has become synonymous with James Bond – Never Say Never Again and Goldeneye have been filmed here. Try your luck at Roulette, Poker and Black Jack and dine in the magnificent restaurants. In the summer, you can play on the terrace (Salle Blanche and Terrasse) with astounding, panoramic views of the Riviera. Built in 1893 by Charles Garnier, this opulent building has 28 ionic columns made of onyx and hosts opera, ballet and concerts. luxury boutiques, jewellers and antique shops. Window shop or blow the budget! miniature worlds, old dolls and automatons. Need I say more? The Grand Prix starts and finishes in here. La Condamine is the 2nd oldest area of Monaco (after Monaco-Ville), the area includes Port Hercule and its crowd of luxury yachts. It is the home of the business district. The promenade has fairground rides and ice cream – even a swimming pool with some impressive slides! is an excellent place for shopping (boutiques), eating and drinking; upmarket, but friendly. More beautiful gardens. The Market: here has been selling local produce since 1880 and is not to be missed. (walkway) this red bricked, test of physical endurance, takes you up to Le Roche (Monaco-Ville) the oldest district in Monaco. created in 1917 by Prince Albert I to protect the last traces of the olive trees that were cultivated here in Monaco. It is now a children’s paradise – with a playground, basketball courts, a football pitch, an 18-hole mini golf course and a small farm and vegetable garden. Originally opened in 1939, the current incarnation was built in the 1980s – the stadium is primarily the home of AS Monaco and the national football team. The car park is located underneath the pitch. over 100 sculptures trail across the parks in Monaco. They include works by Arman, Blake, Botero (Adam and Eve), Calder and Cesar (The Fist) and are primarily inspired by nature. Located on the Terraces de Fontvielle. A collection of 110 classic cars and 6 coaches. A must see for any car enthusiast. Museum of Stamps and Coins: another collector’s dream. This museum tells the postal history of Monaco; stamp printing from 1885 under Prince Charles III and bank notes and coins from 1640. Palm trees and olive trees border a small lake in a charming park covering nearly 4 hectares. The Princess Grace Rose Garden was created in her memory by her husband Prince Rainier III, in 1984, 2 years after her death. The garden has 300 different varieties of rose, including the Grimaldi family’s rose.